No matter how disappointed you are with the teeth nature gave you – even if they are cruelly misaligned, misshapen, stained from antibiotics or tobacco, or just plain not what you'd hoped for – modern smile makeovers with porcelain veneers can give you the smile of your dreams. And the technology behind them often makes them the most precise solution to many cosmetic problems, from a single tooth to a full-mouth reconstruction. 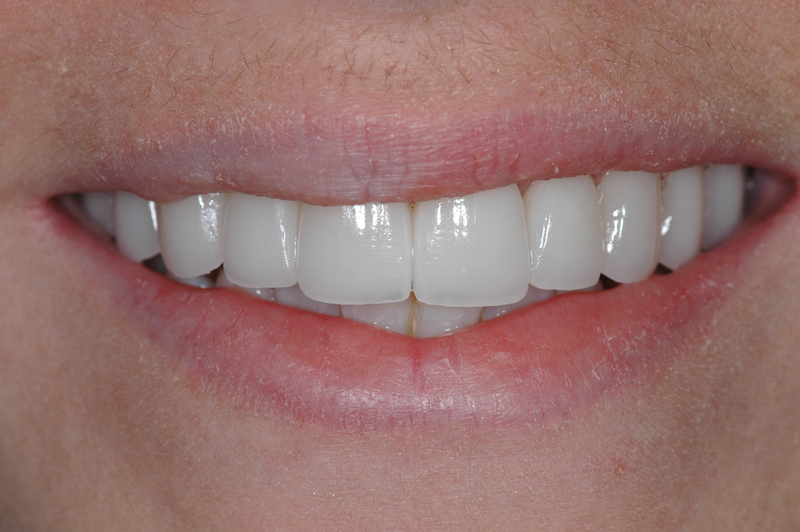 Veneers are small – razor-thin, custom-made covers for your teeth. They can be made of porcelain, ceramic, or composite material which perfects the appearance of each tooth after they are bonded to its front surface. They are carefully colored to match your own teeth and, when completed, present a natural appearance and a comfortable fit that are often a huge improvement on nature's own. We have specialized in porcelain veneer technology throughout our practice, and have learned from our patients how profoundly veneers have improved their appearance and increased their confidence. If you have considered investigating the possibility of veneers to encourage you to smile fully and unselfconsciously, we suggest you page through the smile gallery on our Web site: www.nycsmiledesign.com, to see exactly how veneers might help you reach your goal. Veneers can be chosen to improve many dental flaws, and they are relatively quick to fit and apply. 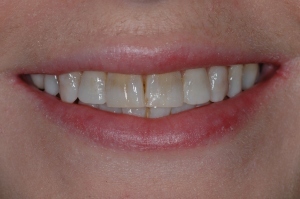 Porcelain veneers offer a strong and long-lasting option and, unlike composites, are less prone to staining. They also have a particularly natural, translucent look. Composites, however, are less expensive, and are an excellent choice to repair small chips and flaws. But the most important ingredients of all successful veneers are their fit, as well as their appearance. And the initial consultation and examination – very much a two-way street – are crucial to those two ingredients. We strongly encourage our patients to communicate their needs and goals, and make sure we give them a clear understanding of their treatment plan and its costs. Although the steps and work involved in placing veneers may seem complex at the beginning, we have been using the most advanced technology to guarantee that the process is not only pain-free, but can also be used most efficiently, even to completing treatment in one day. Since many of our patients are extremely busy, they have often chosen this option for a most successful outcome. If you have any questions about veneers, we invite you to call our office to ask them: (212) 452-3344.